Previously, we created a website for a homeowner’s association in Hilton Head, SC. The individual that contacted us to make the site was very happy with our work along with our responsiveness to any questions and updates. Therefore, she had us create a website for a friend of hers. 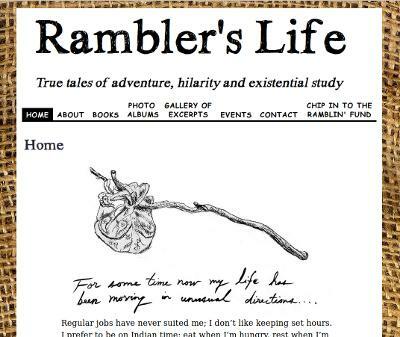 The website is Rambler’s Life. It is a website for an artist that crosses the country counting on those that are helpful with giving hearts. She writes stories, writes books, and creates artwork during her time. This website is dedicated to her and her stories. We are very pleased that we were contacted again to create another website. That shows our continuous support from our current customers and the quality of the affordable websites that we create.